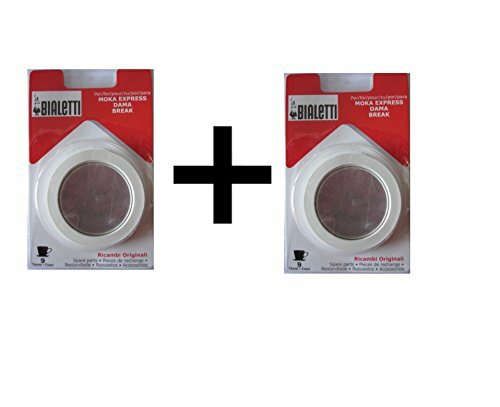 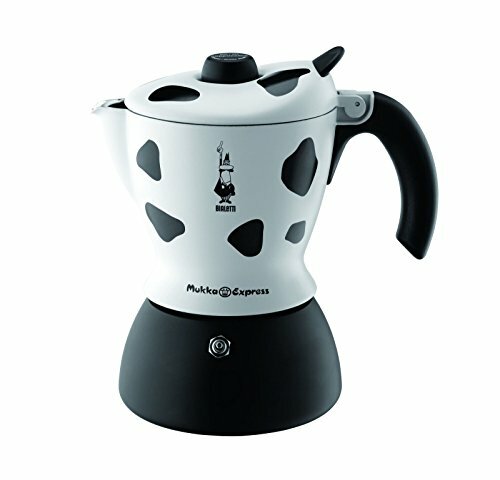 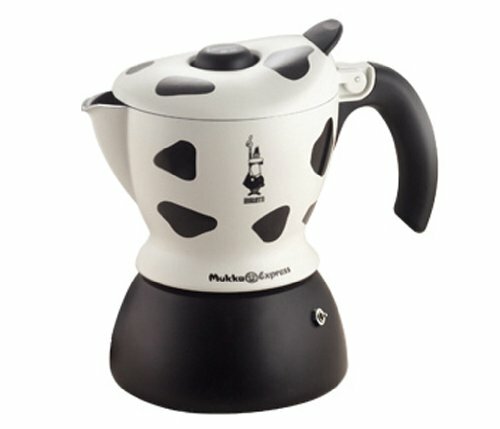 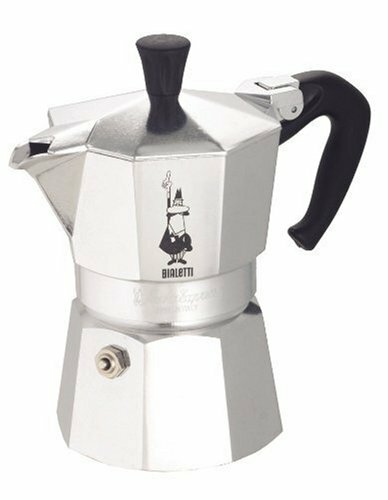 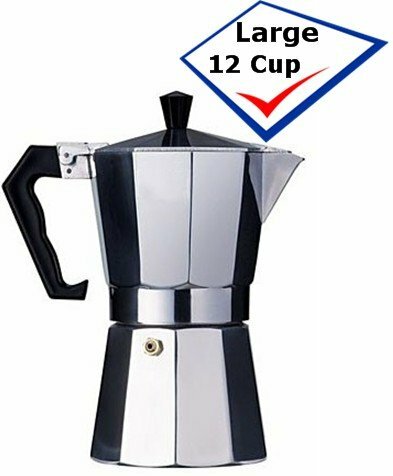 Vev Vigano 8106 Vespress Nero 6 Cup ~ Stovetop Espresso & Moka Pots ~ All for COFFEE, TEA & ESPRESSO - the best place to buy coffee online! 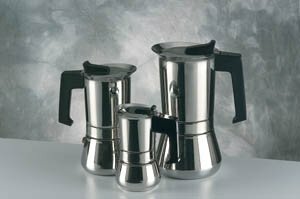 Our beautiful Vespress Nero is made by Vev Vigano in Italy and features a mirror like high polished 1810 stainless steel body. 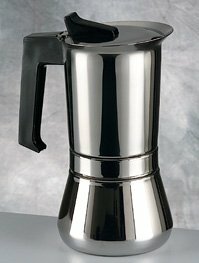 Vespress Nero adds a modern twist to most traditional espresso maker designs. 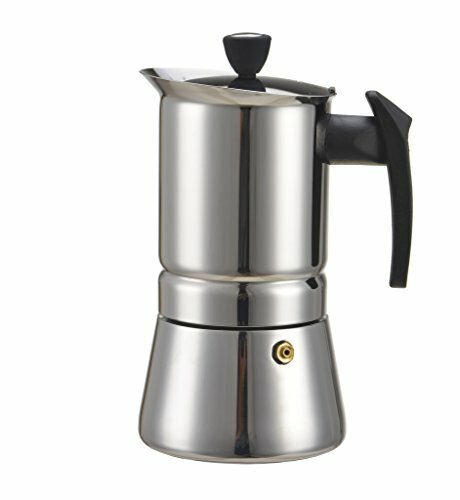 Vespress Nero features a stylish and heat resistant bakelite handle and knob. 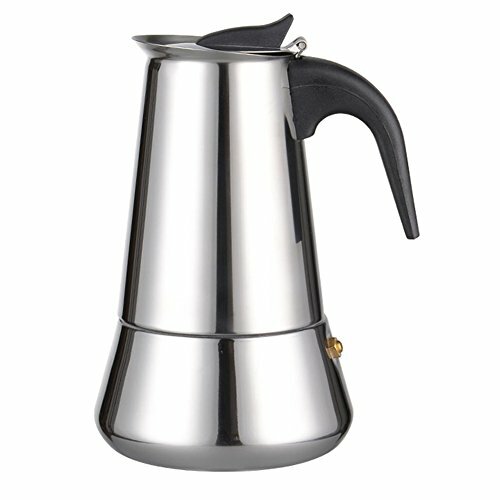 Internal parts such as the filterplate and funnel are also made of stainless steel. 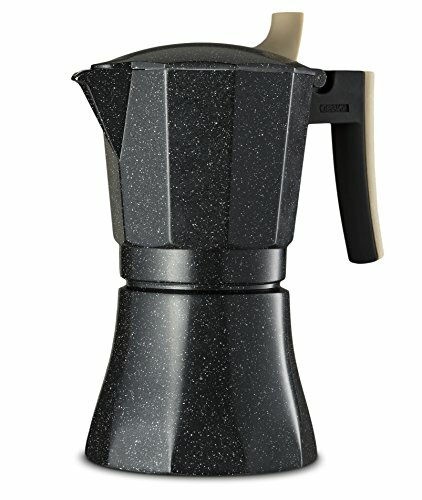 Vespresso Nero is designed for use on gas cook tops as well as on electrical, glass-ceramic and even induction plates. 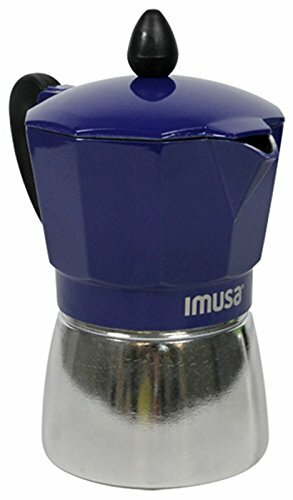 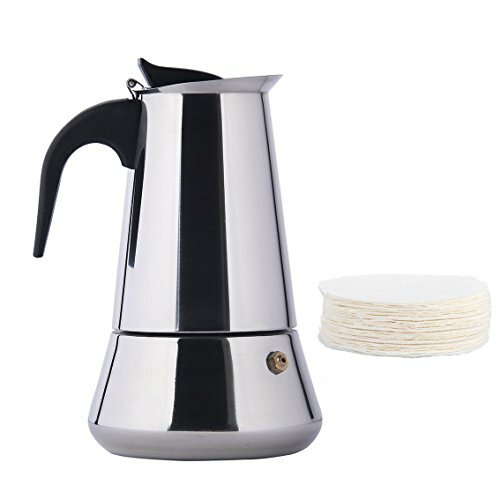 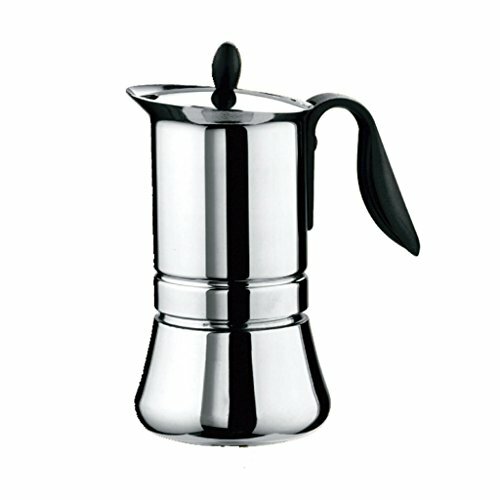 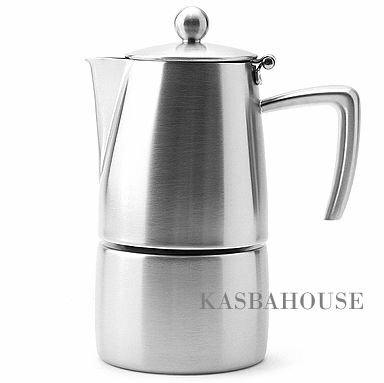 Aluminum Cuban Style Coffee Maker 12 cup.